The D-Link AirPro DWL-6000AP Multimode Wireless Access Point simultaneously connects to both 802.11a and 802.11b wireless networks. With a total of eleven non-overlapping channels, the DWL-6000AP is the ideal solution for any network administrator who needs to expand the capacity of the wireless network and allow users on different frequencies to connect. Featuring the latest dual-band technology in 2.4GHz and 5GHz, it is also a best-of-both-worlds solution for those operating wireless networks in public areas where the extra bandwidth can attract additional paying customers. This is especially applicable to wireless networks in high traffic areas such as airports, coffee shops, shopping centers, sporting venues, and university campus deployments. At transfer rates of up to 72Mbps in the 5GHz frequency range and 22Mbps in the 2.4GHz frequency range, users connected to the DWL-6000AP will enjoy faster downloads and email communication. The DWL-6000AP combines the latest advancements in 802.11b silicon chip design from Texas Instruments, utilizing their patented Digital Signal ProcessingTM technology along with impressive high-speed performance and features of the Atheros 802.11a chip design. 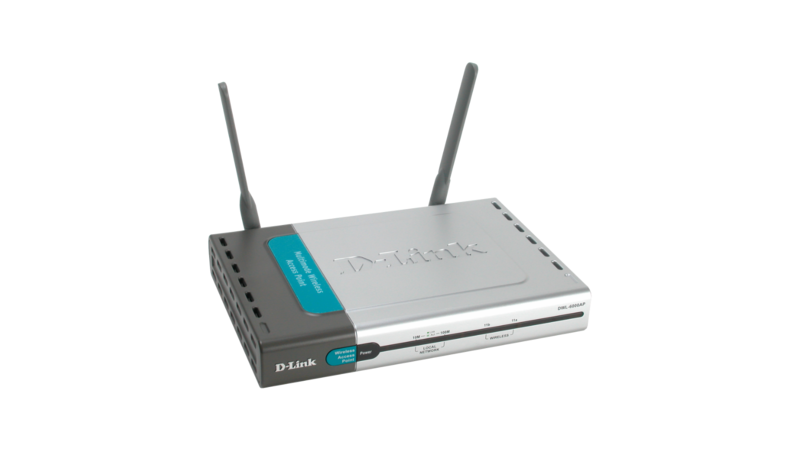 In addition to bridging 802.11a and 802.11b wireless networks, the D-Link AirPro DWL-6000AP can bridge to wired networks with its integrated 10/100 Ethernet port. For more secure communication, the DWL-6000AP supports user-selectable encryption settings — up to 152-bit WEP on the 5GHz band and up to 256-bit WEP on the 2.4GHz band. With its web-based configuration and AP Manager, the DWL-6000AP is easy to install and manage.